"tshirt laundry" - Blog @ That Awesome Shirt! Click here to see our top picks or shop directly at TShirt Laundry. 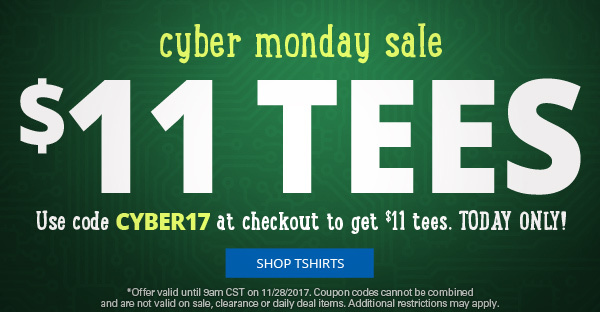 TShirt Laundry: CYBER MONDAY - $11 Tees! Expires 9pm 28th of November, 2017. Stock your cart with our favourites or check out tshirtlaundry.com. 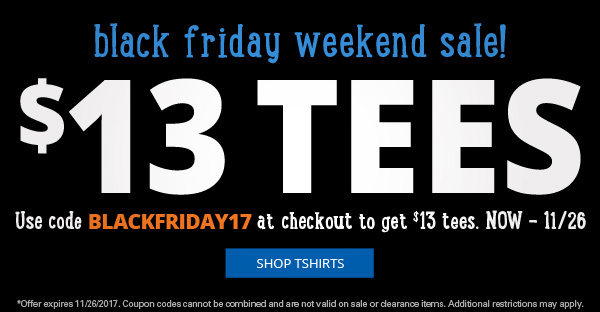 $13 tees during Black Friday Weekend Sale! Expires 26th of November, 2017. TShirt Laundry: One, Two… FREE Tees! 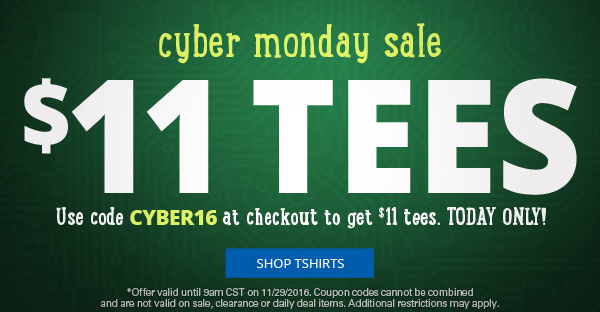 Stock up on all of your new favorite tees with this awesome sale! 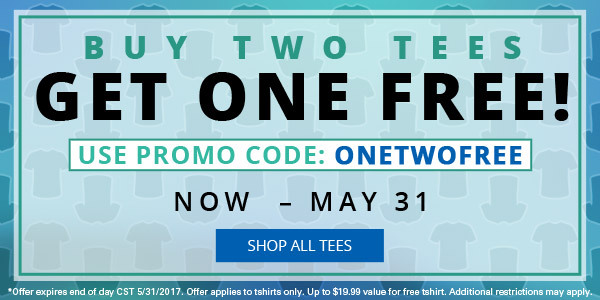 Buy two tees and get one free when you use the promo code ONETWOFREE on tshirtlaundry. But hurry… this crazy offer ends May 31, so don’t miss it! Expires 31st of May, 2017. TShirt Laundry: April Showers Bring... Sales! Works out to be 20%, better sale than most! 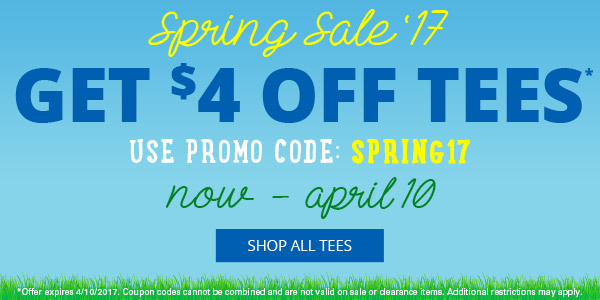 April showers bring savings from TShirt Laundry! 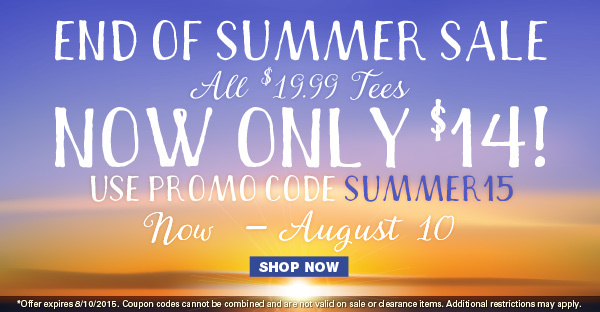 Save $4 on your favorite tees now with the promo code. But hurry up… this spring sale ends April 10, so snag your favorite shirts now! Expires 10th of April, 2017. Use coupon code at checkout to get $11 tees. Expires 12th of September, 2016. 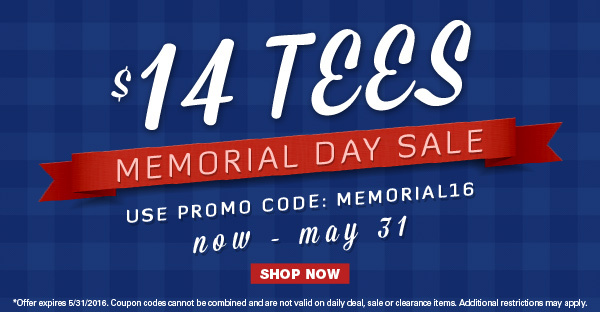 Get $14 tees by using the promo code at checkout. Expires 31st of May, 2016. TShirt Laundry: 30% off Winter Sale! Get 30% off tees with coupon code. Expires 1st of February, 2016. All $19.99 tees are now only $14! Expires 10th of August, 2015. Offer expires 8/10/2015. Coupon codes cannot be combined and are not valid on sale or clearance items. Additional restrictions may apply. 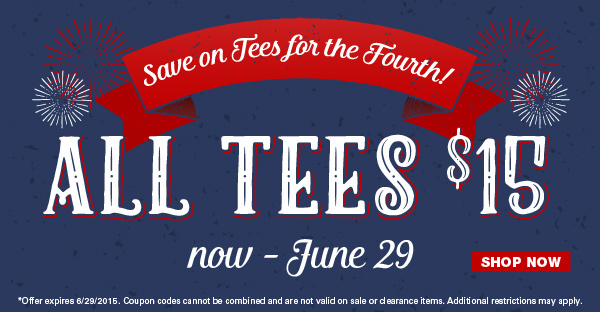 Save on tees for the Fourth of July! All Tees $15 from now until the 29th of June, 2015. 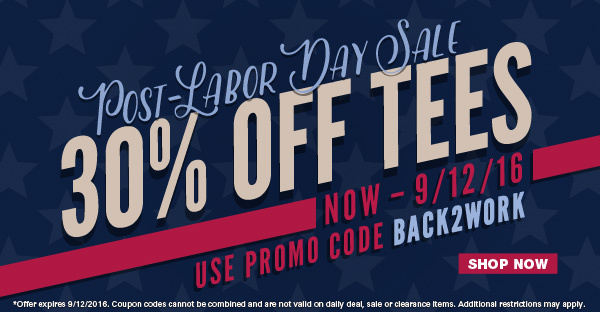 Coupon codes not valid on sale or clearance items.